Cannot wait for this event! It’s everything we’re about – getting outdoors, having fun riding mountain bikes AND it’s in our home town of Malvern! 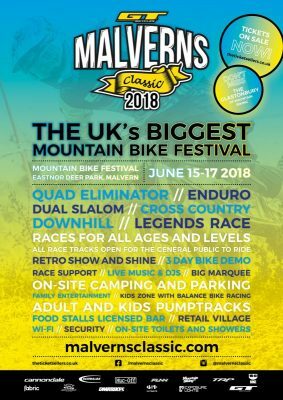 The GT Bicycles Malverns Classic Festival returns to Eastnor Deer Park after a 20 year break. The dates to mark in your diary are the 15th to the 17th of June. A packed weekend of challenging and exciting events is scheduled that will see riders of all ages and abilities race and having fun in a chilled out family atmosphere.